Editorial Workflow enables you to pass content through a series of stages. Each step can be used to represent for example contributions and approval of different teams and editors. For instance, an article can pass through draft, design and proofreading stages. The workflow mechanism is permission-aware. You can limit access to content in different workflow stages, or the ability to pass content through specific transitions. Workflow Engine is located in the ezplatform-workflow bundle. RichText Field Type has been extracted to a separate bundle, ezplatform-richtext. See RichText Field Type Reference. 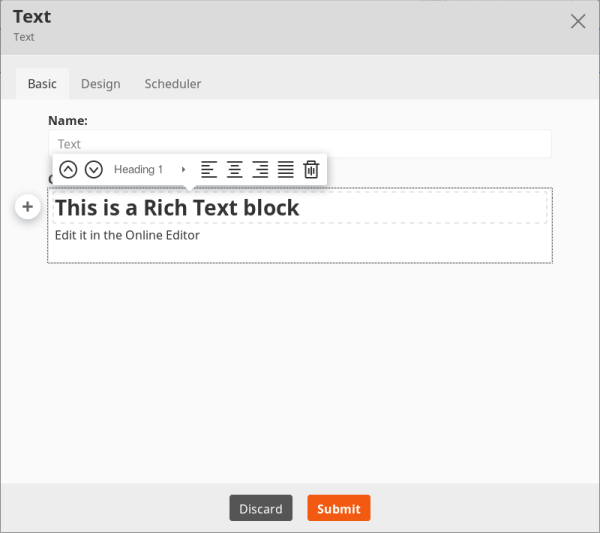 In the Page Builder you can make use of the RichText block. It enables you to insert text created using the Online Editor with all features of a RichText Field. Online Editor has been improved with new styling. You can now use formatted text in RichText Fields (provided by means of a literal tag). The new embed-inline built-in view type enables embedding Content items within a block element in RichText. The ezcontent property is now editable in the UI and can be used to store the output/preview of a custom tag. To learn how it works, see FactBox tag. 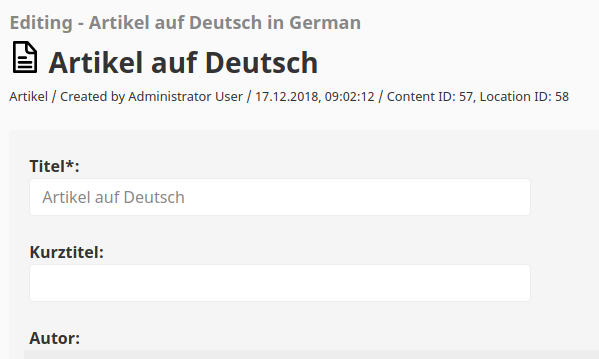 You can now translate Content Type names and Field definitions. 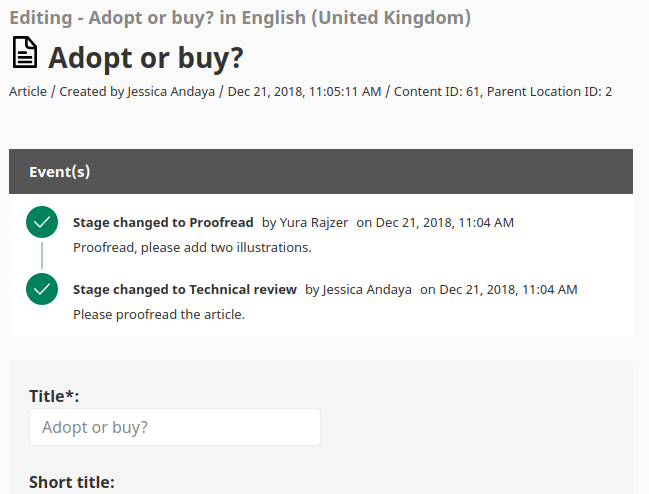 This possibility is available automatically when you have the target language configured (in the same way as for translating content, see Internationatlization). When you translate Content of this type, the Content Type information will be displayed in the new language. New multi-file content management functionalities enable you to move and delete multiple files at the same time. See Multi-file content management for more information. You can now create Forms on the fly from the Universal Discovery Widget. 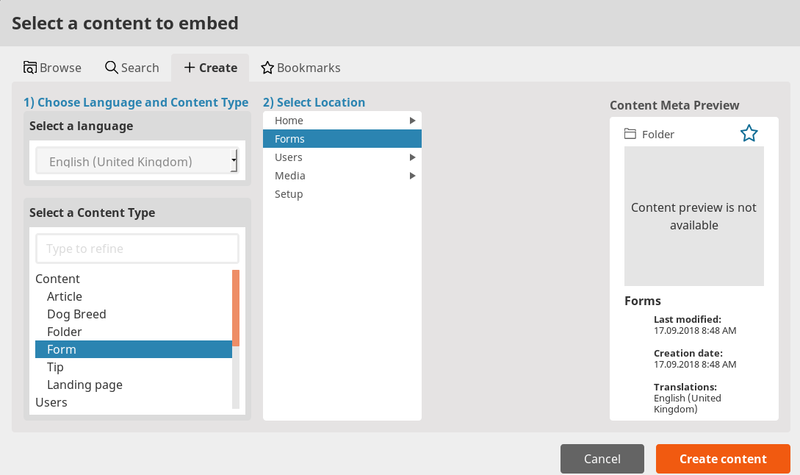 You can use the new Form block to embed an existing form on a Page. The list of all drafts can now be found in the Administrator User menu under Drafts. See Reviewing a draft for more information. A new filter enables you to filter search results by Subtree. See Simplified Filtered search for more information. 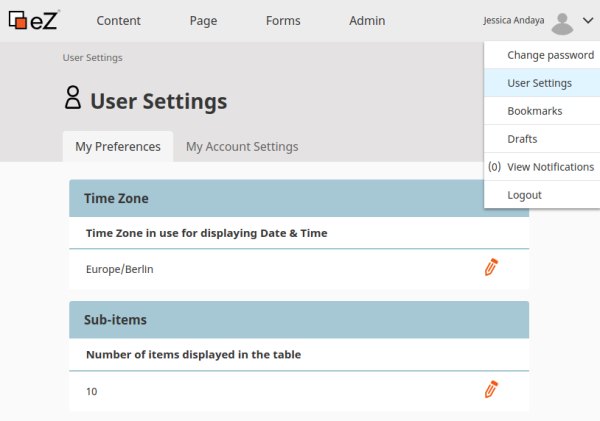 You can now set a number of items displayed in the table using sub-items from your User Settings. You are now able to load multiple Locations at once, using LocationService->loadLocationList(). The biggest benefit of this feature is saving load time on complex landing pages when HTTP cache is cold or disabled, including when in development mode. Online Editor format for ezlink inside ezembed tag changed to an anchor tag. See ezplatform-richtext/pull/20. The merge order of content edit forms has been changed. It can affect you if you extended the content edit template. See ezplatform-admin-ui/pull/720. Changes to the handling of multilingual Content Types, see BC notes in the kernel. This release brings full support for Map\Host matcher when SiteAccesses are configured for different domains. By default HS256 is used as signature algorithm for generated token but we strongly recommend switching to SSH keys. For more information see LexikJWTAuthenticationBundle installation instruction.